Labradors are a very popular breed of dog, so it’s not surprising that Lab mix breeds are also fairly high up the list when it comes to family pets. In this article we are going to look at some common Labrador Retriever mix breed dogs. 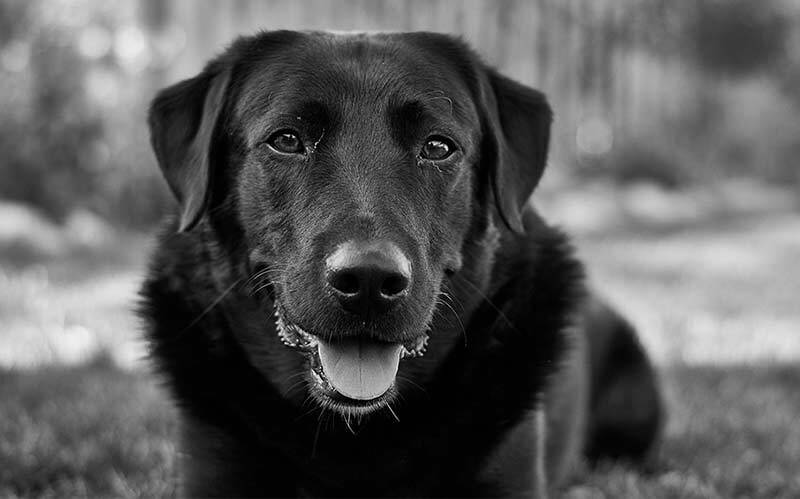 We’ll help you to understand what it means to be a Labrador cross breed. And look at some of the different breeds a Labrador could be crossed with. 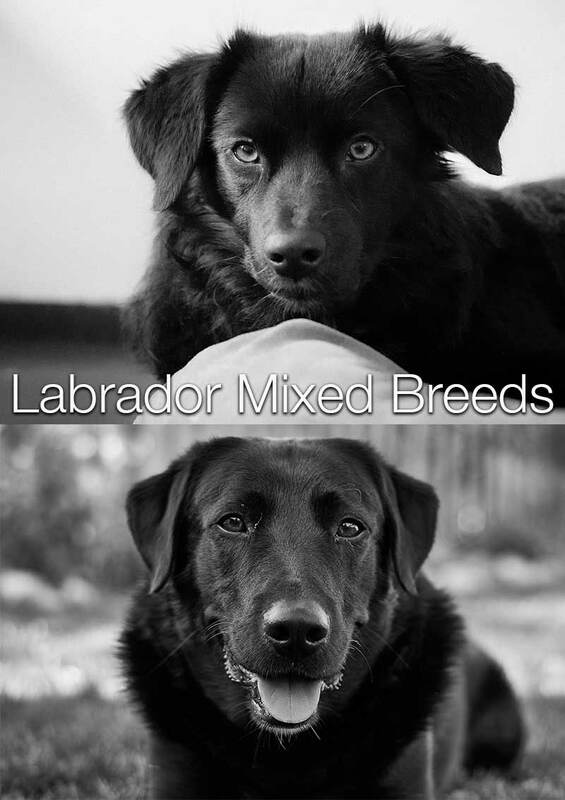 Some people are surprised to discover mixed breed articles right here on the Labrador site! 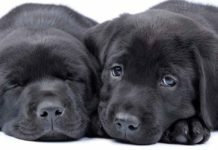 Why is the Labrador Site writing about mixed breeds? There is a huge and still growing interest in mixed breed or hybrid dogs right now. Did you know for example that each month over half a million people look for information about the Pomski, a cross between a Husky and a Pomeranian? A similar number search for information about the Labradoodle. There are a number of reasons that people are currently attracted to mixed breeds, we’ll look at those in a moment, but the important thing is that much of the information about mixed breed dogs, found on the internet is both inaccurate and highly misleading. 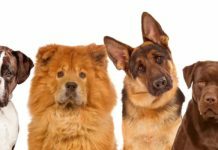 Many websites paint a glowing picture of dogs that are brimming with health and fail to mention the downsides of the mix and the difficulties of finding a responsible breeder for mixed breed puppies. On the other hand, many purebred sites pretend that mixed breeds don’t exist or make wild claims about them being disastrous creatures that are riddled with disease. 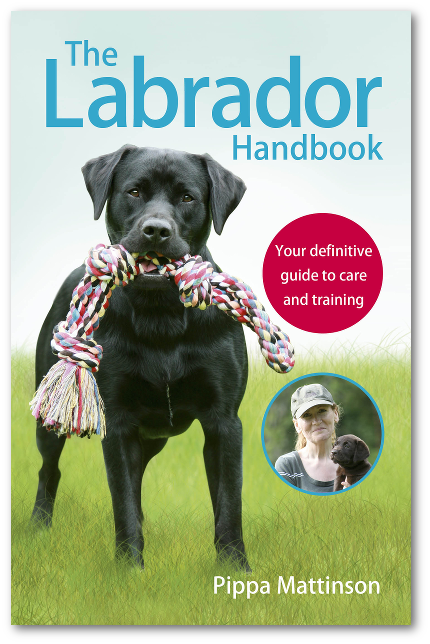 What we have set out to do is to provide accurate and balanced information on the most popular Labrador mix breeds with tips and advice for those looking to buy one. We will also help you to identify what your Lab is crossed with, and what it means to be a Lab mix. What is My Lab Mixed With? Working out what your Lab is mixed with is no easy task. 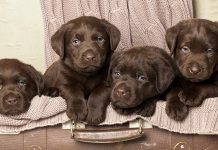 If you have been sold a puppy as purebred, but are unsure about whether they really are, then check out this article for information on spotting a purebred Lab. However, if you know that your puppy is cross bred or a rescue dog, then you really are often in the dark as to his ancestry. Labrador mix bred dogs can often look very different to either of their parents. And in some cases, if the parentage is unknown it is entirely possible that they have more than one breed in their genetic makeup. The only way to know with reasonable certainty where your mixed breed dog came from, is to order a DNA test. This will give you as many as three or four generations back, and give you a great idea what breeds went into your wonderful dog. Labradors can be crossed with a variety of breeds, who have been given some fun names as shown in the menu. But one of the most common Lab mix combinations is the Lab Terrier Mix. In the USA the Labrador is frequently crossed with the Pitbull Terrier. 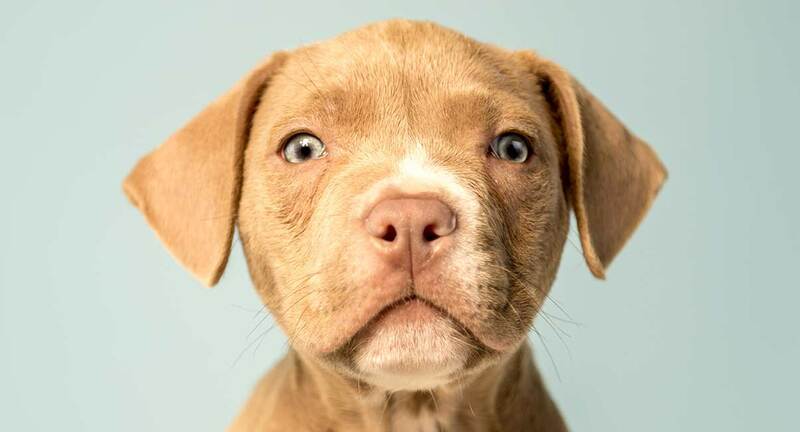 In the UK where keeping Pitbulls is illegal, a common Lab mix often has Staffordshire Bull Terrier in his ancestry. Or sometimes one of the working/sporting terriers popular in British rural communities. The most important difference between the Lab and the Bull Terrier breeds lies in their jaws. The Bull Terrier has a powerful gripping bite, rather than the ‘snap and let go’ bite of most sporting gun dogs such as Labs. And while we all think our dogs will never bite, all dogs will bite if sufficiently frightened. For this reason, socialization (which helps to prevent fearfulness in dogs) is critical for these puppies, so make sure you have the time and commitment to take your puppy everywhere with you. You’ll need introduce him to dozens if not hundreds, of different people of all ages before he is much over three months old. Another frequently found Lab mix breed type is the Lab Hound mix. These include popular scent hounds such as Bassett Hounds and Beagles. But also some of the sighthound breed mixes too. Mixed breeds can often be controversial, and while many people adopting mix breed dogs find their new friends in dog rescues or animal shelter, there are some people who are deliberately breeding these crosses. When this happens, they are often referred to as ‘designer dogs’. One of the benefits of buying a purebred puppy or older dog is that the outcome – size, shape and even temperament – of your dog will be predictable. 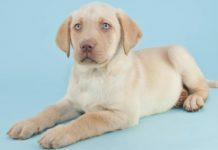 With mixed breed dogs it can be harder to predict the outcome, but there are some assumptions we can make and we have put together some information on what you could expect when bringing these different Labrador mix bred pups home. An Afador is the name given to a Labrador Retriever / Afghan Hound cross. They are fairly rarely bred, as Afghans are not terribly numerous. Your Afador puppy is likely to grow to be fairly large, as both Afghan Hounds and Labradors are reasonably tall. Afghan’s are more leggy than their Lab friends, and have longer muzzles and very long straight coats. You could therefore end up with a dog with medium to long fur, which will require regularly grooming. Afghan temperaments tend to be more aloof than that of Labs, with less boisterous enthusiasm for everyone they meet. You can’t predict whether this trait would be transferred to your Afador puppy however. Socialisation is an important factor as Afghan’s don’t tend to have the natural confidence of most Labs, and they are similarly likely to develop behavioural problems if left alone for long periods regularly. Just like Labs, Afghan’s need plenty of exercise and a constructive programme of positive training to become well behaved members of the family. Afghan Hounds live on average a similar time to Labradors, at around 12 years of age. However mix bred dogs tend to live longer than purebred dogs, which gives your Afador a good shot a lengthier lifespan than this. Make sure that your Afador puppy’s parents have been fully health tested for the inherited diseases common in their respective breeds. The Labrador parent should have a clear eye test of less than a year old, PRA clear, cumulative hip score of less than 9, elbow scores of 0 at the minimum. For full health testing for Labs check out this article. 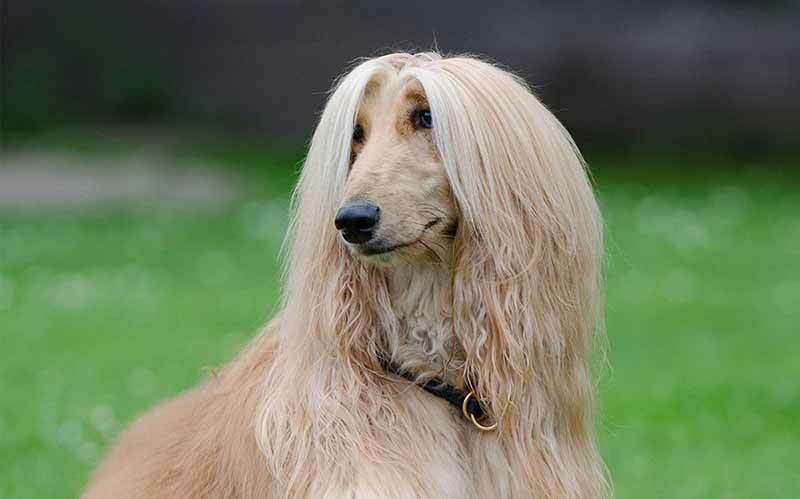 The Afghan Hound parent should have as a minimum a clear eye test of less than a year old, hip score of less than 8 and thyroid testing. Another rare cross but one which has great appeal to some people, is the Bassador. This Labrador / Basset Hound cross can result in a dog which look in general like a short-legged, large eared Lab. They are on average around 14 inches tall as adults, with body proportions suiting a larger breed of dog and shortened legs. Basset Hound lifespan is around 11 years, so slightly shorter than the Labrador Retriever. They also have some worrying health problems and structural issues which you will need to take into account. They also have disproportion leg to body length, which can result in mobility issues and arthritis especially due to the Basset’s fairly large weight to height ratio. The real risk here is that you could end up with a Labrador’s boisterousness and enthusiasm in a body that is ill-equipped to carry it around. The Basset Hound parent should have tight eyelids, clear gonioscopy test and elbow scores of 0. They should have the least possible loose skin and longer than average legs. 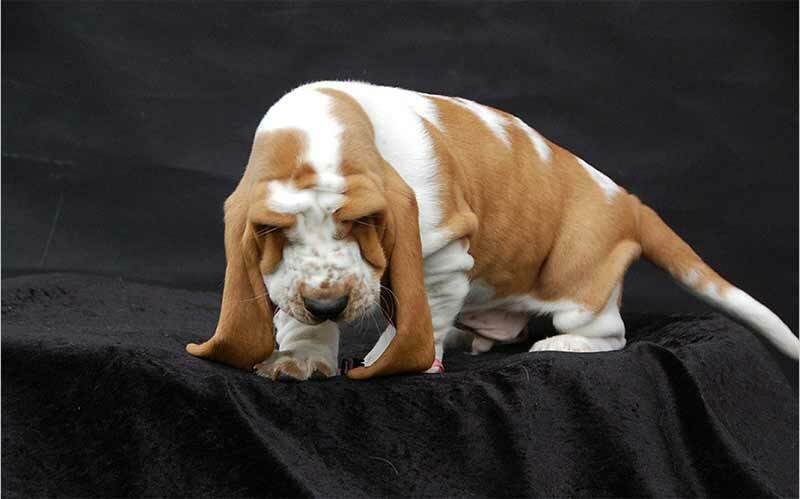 Working line Basset Hounds tend to be in far better shape than their show bred cousins, and this is where you should start your search if you have your heart set on a Bassador. You can find out more about the problems Basset Hounds face here and the differences between show and working lines here. Border Collies are incredibly intelligent dogs, who work very well with their owner if properly trained. They are very much a ‘one person’ dog. Loyal to their families, and fairly indifferent to everyone else. They are quick to learn and can be taught a mind boggling range of activities through positive reinforcement training. There are also a few different strains of Border Collie now, with the personalities of those from Show, Agility/Flyball and Working lines all differing quite a lot. The show dogs tend to be the least driven, although still high energy dogs that require a lot of stimulation. Their general demeanour is quite different to a Lab, so it will be complete luck of the draw what you end up with! Like Labs as puppies they can be very nippy, and in the case of Collies this can express quite strongly around children as they attempt to herd them around. They are not generally therefore recommended to families with very young kids. They do however often make excellent pets when older for active, busy families who enjoy training and working together. They are beautiful dogs, who tend to have long coats that require a lot of grooming, so you will need to be prepared that your Lab mix may be the same. They grow up to around 21 inches, so are a little shorter than your average Labrador. 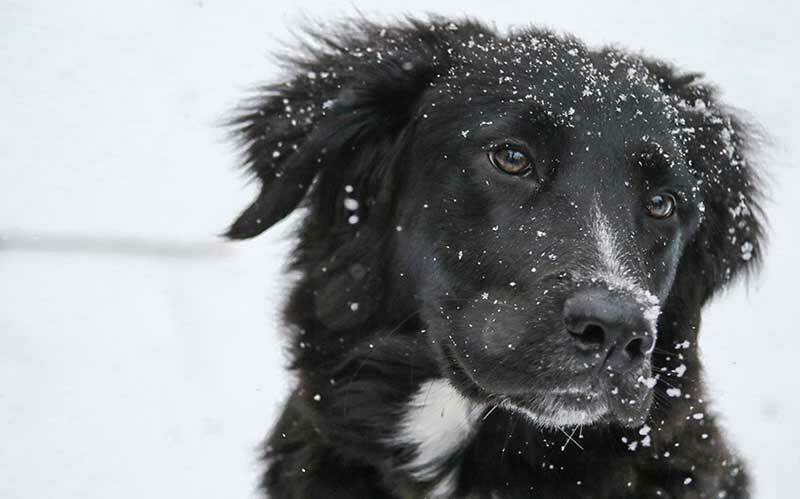 Border Collies are known for having long lives, however according to studies their median age is actually similar to the Labrador Retriever at 12 years of age. However, given that mutts on average life longer then your dog would have a good chance at a longer healthy life, provided that they avoid diseases inherent to the breed. The Border Collie parent should have clear tests for Choroidal Hypoplasia, CL, IGS, MDR1 and TNS. You can find to more about these on the Kennel Club website here. A healthy Borador could make amazing pet for an active home, who are around much of the day and able to give them the focussed attention their brains and bodies require. A Cavador is the name given to a cross between a Labrador Retriever and a Cavalier King Charles Spaniel. 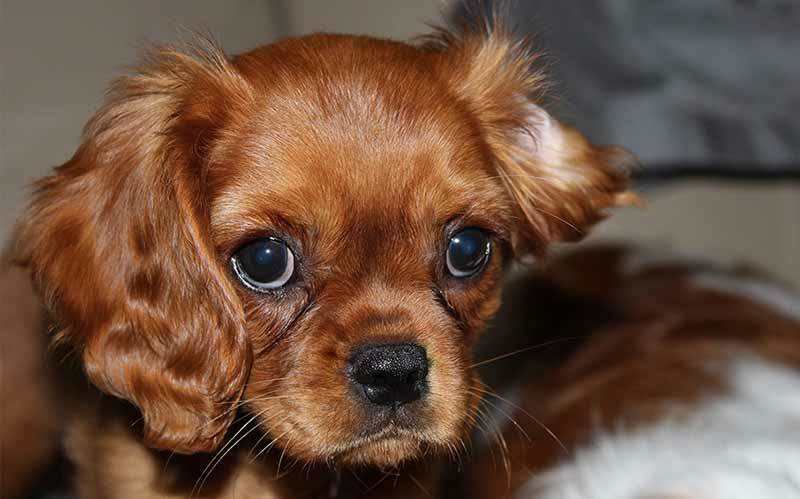 Cavalier King Charles Spaniels are without a doubt some of the friendliest little dogs in the world. They are charismatic, fun and loyal. They also have a fairly good average lifespan of 11 years. However, there are a couple of big, scary health problems associated with large numbers of this breed, so be very careful and do a lot of research if you are thinking of bringing one into your home. Health problems impacting a vast quantity of these little dogs include mitral valve disease, a heart problem which causes early death, and syringomyelia. This is a neurological problem caused by the size and shape of their skulls, not allowing their brain and brain stem to be properly accommodated. Syringomyelia is a horrendous condition. I won’t go into details here, but if you want to buy a Cavador please read this article to find out more before you make your decision. The Cavalier King Charles Spaniel parent should be over 5 years old, having had no signs of mitral valve disease and having a clear MRI scan at that age. Do not buy a puppy with a Cavalier parent who is untested or younger than 5 years old at the minimum. This will vastly reduce your chances of having an unhealthy puppy. Often referred to as the Goldador is the incredibly successful cross between a Lab and a Golden Retriever. Two very popular breeds of gundog with a lot of similarities, this is one of the cross breeds where can be fairly confident of the type of Lab mix you will be getting when you bring home your puppy. Goldadors are very popular with Guide Dogs. In fact, Golden Retriever crosses, including those with GSDs, make up 59% of UK Guide Dogs. They are well known for being intelligent, fast learners and very co-operative with their handlers. Like their Golden Retriever and Labrador parents, they tend to have very friendly temperaments and love spending time with their human family. Golden Retrievers are similarly sized dogs to Labradors, but with a far longer and wavier coat. Most Goldadors seem to have shorter fur more like the Lab parent, but this is not guaranteed. 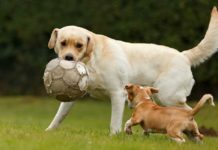 Golden Retrievers are generally healthy dogs, although there are like Labs some areas for concern that you must be aware of before you commit to bringing your puppy home. Goldies have some similar health issues to Labradors. Make sure that the Golden Retriever parent has a clear eye test of less than a year old, PRA clear, cumulative hip score of less than 12, and elbow scores of 0. Golden Retrievers also have a big problem with cancer, so look into the lines of the Golden Retriever parent and make sure that a lot of their relatives have not died young from this disease. Labernese is the name given to a cross between a Labrador Retriever and a Bernese Mountain Dog. Bernese Mountain Dogs tend to be fairly calm and aloof as adults, and require a lot of dedication to socialisation when they are young due to potential nervousness around strangers and guarding tendencies. Due to their size, they are not really recommended for homes with young children or frail adults. Bernese Mountain Dogs are very large, growing up to 28 inches tall and weigh up to 110 pounds. They also have a long coat, which requires a lot of grooming to keep in a good condition. Unfortunately like many extra large breeds, Bernese Mountain Dogs do not have very long life expectancies, averaging around 8 years long. When looking at longevity size is a big factor, and giant breed dogs regardless of whether they are mix bred or not will have shorter lifespans. 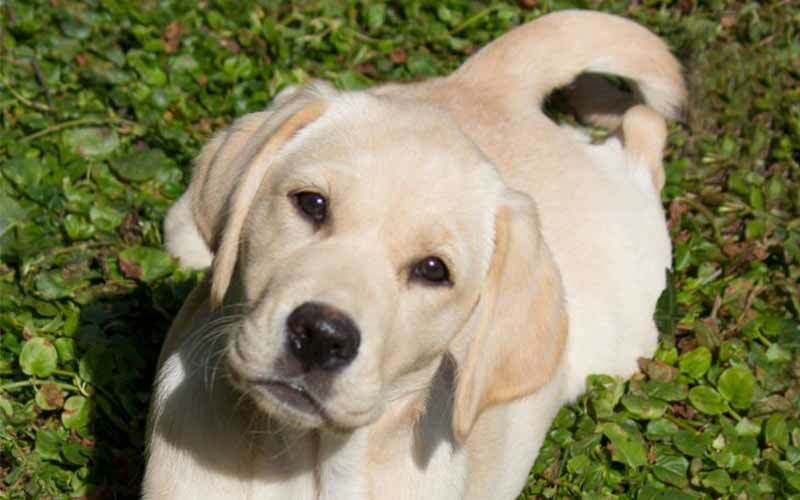 You could therefore expect to see your puppy potential live fewer years than the average purebred Lab. The Bernese Mountain Dog parent should have hip score of less than 9, elbow scores of 0 and be DNA clear for Degenerative Myelopathy. 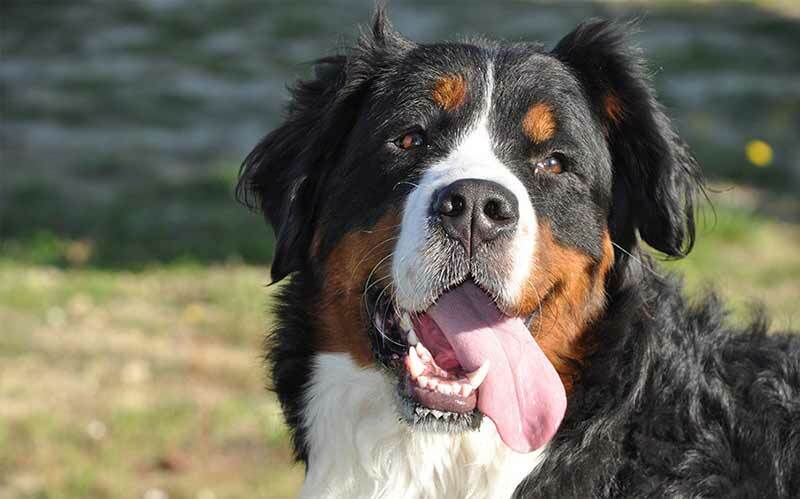 Cancer is a big problem for Bernese Mountain Dogs. You should therefore also ask the breeder about the history of cancer in their lines, and the ages of death of the previous generations. They are utterly beautiful dogs, and if well managed can make wonderful companions. But you should be aware that your Lab mix could grow to be just as large as a purebred Mountain Dog and his temperament could match either breed, so thorough socialisation is very important regardless of how your puppy looks when he is born. The Weimaraner is a beautiful dog, and an intelligent one too. Like all members of the gun dog group he has been bred with co-operative working in mind, although he tends to be slightly less people focussed in general than your average Lab. This means that they are not as obsessed with greeting everyone when you take them for a walk. However, they can also be a little harder to engage in the training process and in some cases be even more driven than a Labrador. Like Labs, Weimaraners can also be prone to separation anxiety when left alone for long periods. It’s therefore very important that you take this into account when you are deciding whether now is the right time to get a puppy and looking at what arrangements to put in place. 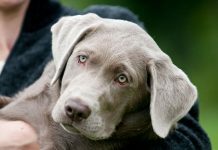 There is some conjecture that silver Labs occur due to Weimaraner blood being added in generations previously, and you can find out more about the truth behind this in this article. 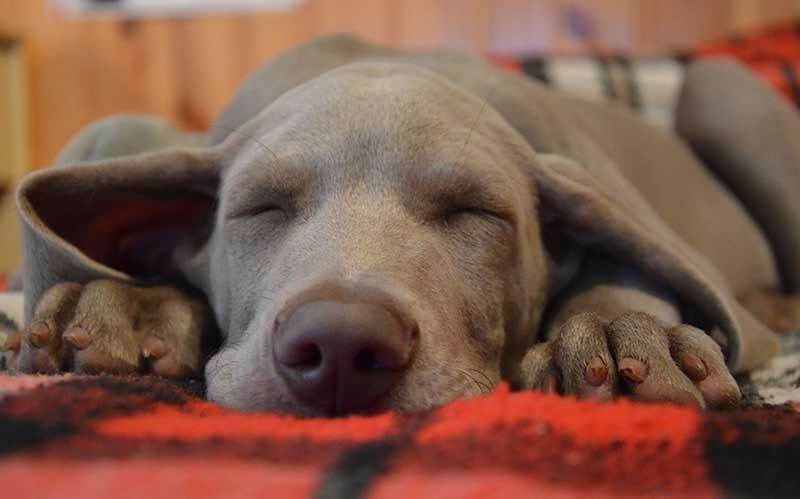 Weimaraners live on average 11 years, so slightly shorter than a Lab’s lifespan. They are however pretty healthy dogs in general, with good body structure and sound confirmation. Again you would expect a Lab mix to live longer than a pedigree Labrador, and therefore you could hope for at least an average Lab length lifespan of 12 years or more. The Weimaraner parent should have a hip score of less than 9, be PRA clear, and have elbow scores of 0. Thyroid and cardiac tests are also highly recommended. If you are looking for an active, intelligent dog then a Labmaraner will provide you with a beautiful devoted companion. Labradoodles are the most popular Labrador Retriever designer dog breed at the moment. We are currently putting together a full article just on them, but in the meantime here’s a brief rundown! A Labradoodle will not necessarily be a non-shedding dog, and may require some extreme grooming or very regular visits to the poodle parlour in order to not become matted. It can be difficult to see at first glance how matted Poodle mix coats are underneath the tight curls, so regular checks from a professional and proper attention to grooming is essential. 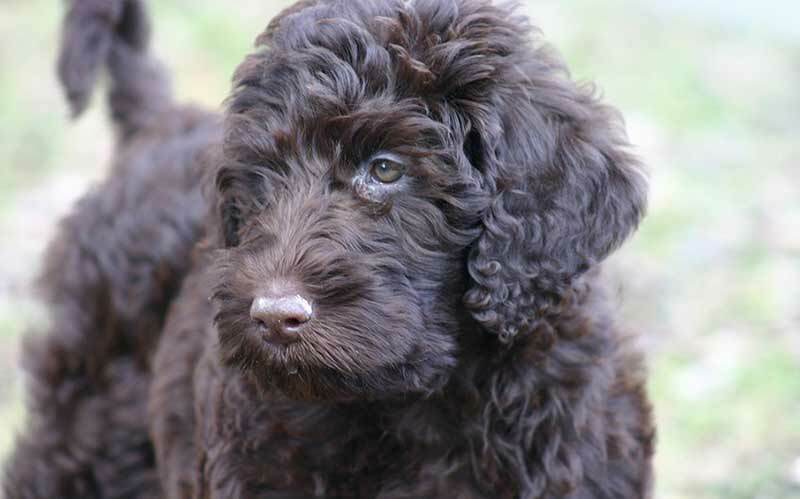 Their coats can vary hugely from dog to dog, and there is no way to predict what your young Labradoodle puppy’s coat will be like when he is grown. The Standard Poodle parent should have hip scores of 10 or less, clear eye test, and have had evaluations for Autoimmune Thyroiditis, Sebaceous Adenitis and an OFA cardiac evaluation. Labradoodles from second or third generations should have parents with hip scores of less than 10, elbow scores of 0, be PRA clear, have an up to date eye test, and have had Autoimmune Thyroiditis, Sebaceous Adenitis and OFA cardiac evaluations. Labradoodles can make wonderful family pets if you are happy to commit to extra grooming, good socialisation and have the space for a big, bouncy but very loving dog. 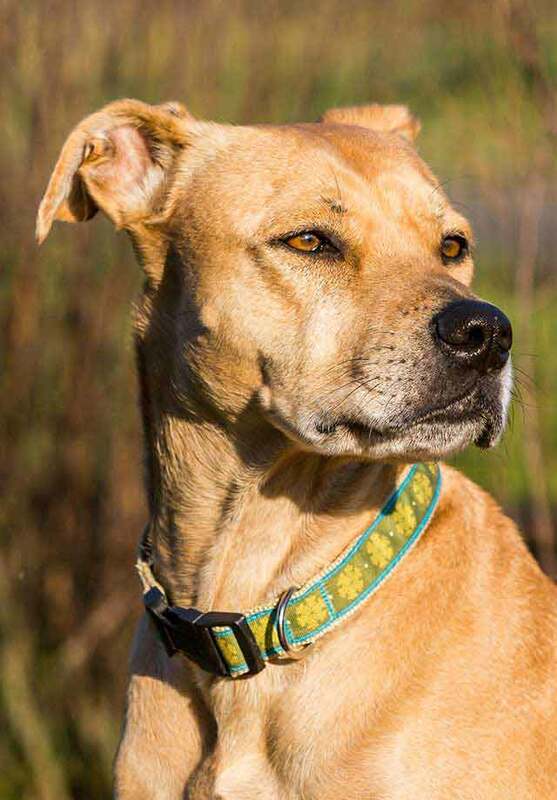 We talked about this breed mix in the Terrier Lab Mix section above, and there is no harm in repeating the importance of ensuring a large strong dog with a powerful gripping bite is well socialized. If this is properly taken care of , the Pitbull Lab mix should be a great family dog, full of energy, with a short, easy care coat. He’ll likely have a heavier head than a purebred Lab and may have partially upright ears. He’ll be strong too, and bouncy when young. Like Labs, your pitbull mix will probably be better suited to homes where there are no family members unsteady on their feet. Rottweilers crossed with Labradors are known as Labrotties. Or Rottadors. And they can be incredibly beautiful and dedicated companions to their families. Rottweilers can be up to around 27 inches tall, with big heads, deep chests and well muscled bodies. They are powerful dogs and need commitment to positive training from day one from their families in order to understand how to behave in their homes. Your Labrottie could potentially grow to be just as big and powerful as his single Rottie parent, so make sure you are happy that you have the space and resources for a large dog. Rottweiler temperament is also quite different to that of your average Labrador Retriever. There is no way of knowing which of his parents your Labrottie will take after. Rottweilers are a guarding breed. Extremely loyal to their family, but known to be wary of strangers and unpredictable around children if improperly socialised and managed. Your Labrottie puppy must be very well socialised, just as you would with a pure guarding breed dog. Make sure he has regular positive contact with people of every age, and is familiar with things like beards, hats and unusual items of clothing. Ensure a lot of socialisation is done at home when the puppy is growing up, with frequent visitors arriving and bearing treats and rewarding experiences so that your puppy is less likely to be protective of your home to people that you want to welcome in. 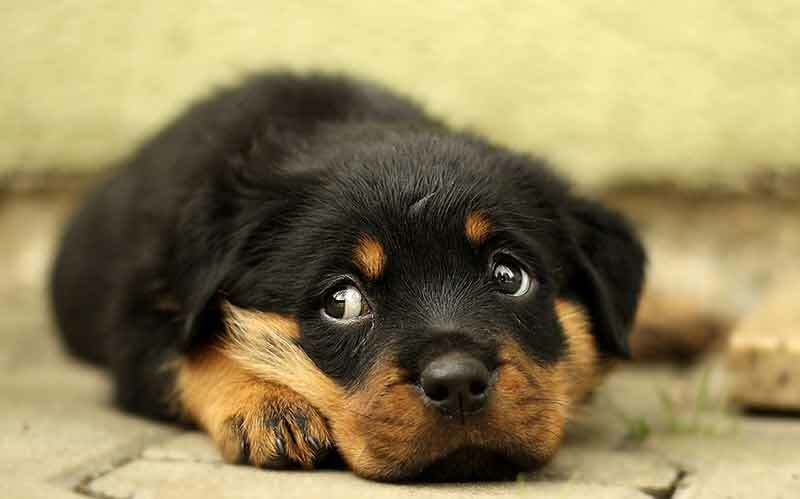 Rottweilers have a sadly short average life expectancy, of just under 9 years. They are large dogs, and as such you can expect a reduced lifespan compared to the average Lab too. They are prone to cancer as well as some serious cardiac problems. The Rottweiler parent should have a hip score of less than 8, elbow scores of 0, be PRA clear, have an up to date eye test and have been heart tested too. Make sure you meet both parents and are happy that they are calm, friendly and open in terms of temperament. That the Rottie has tight eyes, has never needed surgery for entropion, ectropion or cruciate ligament disease. Also find out about the occurrences of cancer in the Rottweiler line, and walk away from any breeder who is evasive on this point or has had relatives die early from the disease. 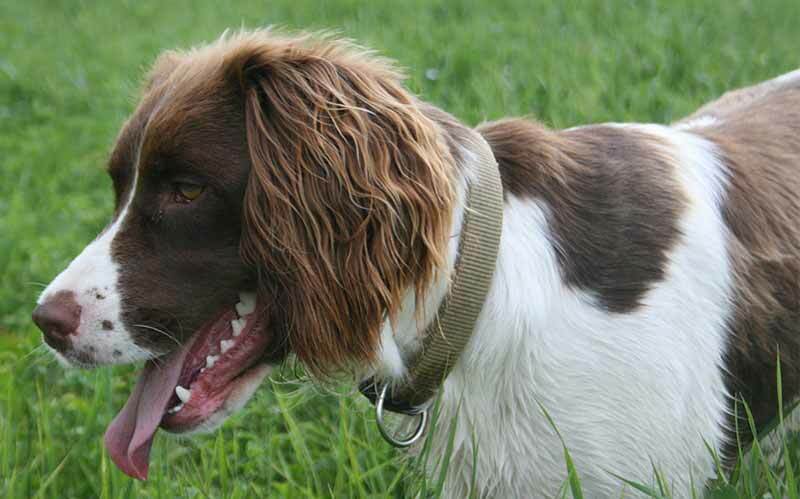 Springer Spaniels crossed with Labs are often referred to as Springadors. They can make fabulous pets or working dogs, but can have the extremes of both breeds so are not for the inexperienced or inactive owner. Springers are very lively dogs with an incredibly high prey and hunting drive. They benefit from positive reinforcement training from an early age. In general Springers have great temperaments, however there are some working lines which have nervous aggression problems and fixations on light chasing. Make sure that you meet the Springer parent when buying a Springador to ensure that they are confident and not agitated. The English Springer Spaniel has a life expectancy of 12 years, just like the Labrador. On average cross bred dogs tend to live longer, which means that you could hope to have a your Lab Springer Mix live even longer than this. The English Springer Spaniel should have a clear eye test of less than a year old, be PRA clear, have hip scores of less than 10 and if possible have a clear Fucosidosis DNA test too. If you are keen to try your hand at dog training, are around most of the day and love spending time doing activities outdoors then a Springador can make a really wonderful pet or working dog. When you buy a purebred dog you can have a pretty good idea of what their temperament is going to be. You know what is usual for the breed, and that most healthy well reared members of it will grow up to be like. You will meet the mother, and maybe even the grandmother, aunts and sisters from previous litters when you go to pick your puppy up. 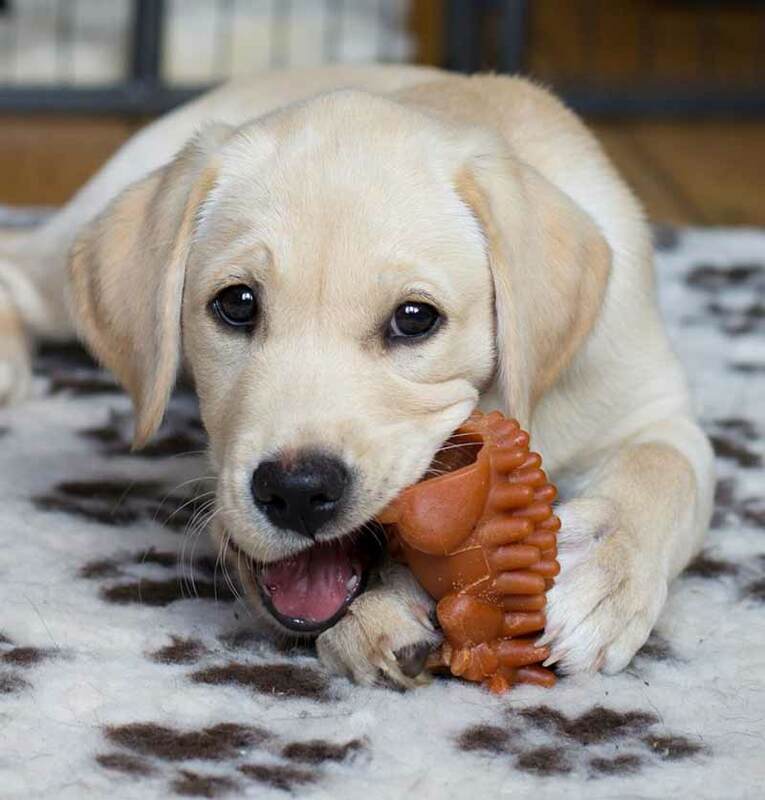 Goldador Guide Dog puppy, with thanks to puppy walker Mags for the gorgeous photo. When you buy a mixed breed dog, there temperament will be a product not only of their upbringing, but of their varying lineage. If your dog is bred from two purebred lines like the designer dogs above, then they could end up with any mixture of the two lines temperaments or something completely different. Make sure to meet both parents to ensure that they are confident, friendly characters as this is the most important aspect of a family dog. If both lines are happy, loving dogs then the chances are good that your puppy will be the same. With a rescue dog they will normally be older than 6 months and you will be able to see to an extent their temperament when you visit them at their kennels or foster home. If your Labrador is a known cross, then you can make an educated guess that he could be anywhere between the average sizes for those breeds. However, it not always the case. 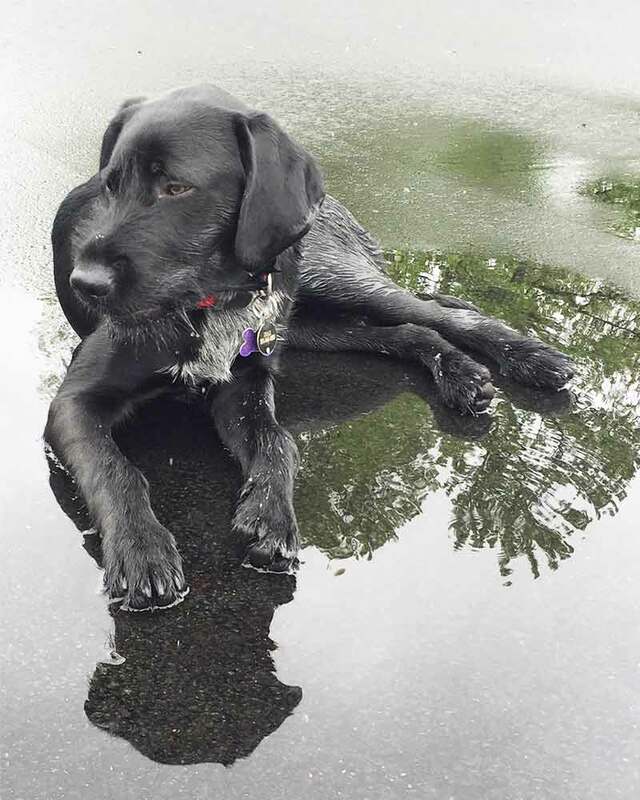 Gorgeous Drax is a Lab x German Wirehaired Pointer. Photo kindly provided by N Pappalardo. And with a Labrador mixed with unknown other dogs, then they really could be any size at all. The Labrador element to their genetics does not limit their growth or mean that they will definitely have any specific height to them. There will potentially be huge variation even within the litter. I grew up next door to a family who had two Labrador x Terriers from the same litter. One looked exactly like a Labrador in every way, except she had very short legs. The other was Labrador height but with a totally different shape. If size matters to you, then a purebred puppy or dog over 18 months old might be a better choice. The best Lab mix breeds are of course a matter of opinion. As with any purebred dog, it depends entirely upon why you want a canine companion. If you want a small Lab mix as a family companion then getting one who is crossed with a smaller, calmer breed is a good choice. If you want a dog for sports or hunting then going with a Labrador crossed with another gundog breed is a sensible move. If you want a dog to have a go at agility, then a Collie cross is a great place to start. The most important thing is to pick a puppy whose parents have both had all of the health tests relevant to their own breed, and whose personalities you would be happy to see replicated in your pup. Alternatively, look for a rescue dog that you have met and fallen in love with yourself. *Mortality figures taken from article “Methods and mortality results of a health survey of purebred dogs in the UK. Journal of Small Animal Practice, Vol 51. So yesterday I found this beautiful pure black puppy with a little white on his chest,someone decided it would be a good idea to throw him out at the end of my road. I believe he’s still a pup, he has long thick black hair, with a “fan” tail and pointed ears. Me and my boyfriend both believe he’s mixed with black lab Because he has the spots on his tongue. Do you guys have any idea what else he maybe mixed with?? I’m fortunate to have, for the 2nd time in my life, a half Lab, half Old English Sheepdog. These are incredibly bright, devoted, loving dogs. They are very much tender hearted members of the family & expect to be included as such. At times, the Old English stubborness shows itself, but they so want to please, so it doesn’t last. They are cuddlers too, which is tough with a 100 pound boy, and also playful. He loves to jump on my bed and play wrestle with me…very gently. EVERYONE who has ever met him, has fallen in love with him! My pound pickup lab mix looks like a smaller chocolate lab w/ viszla or Pharaoh Hound because the way his ears are set, longer neck. And he’s a reddish brown. So far as I can tell he doesn’t shed. We ordered the DNA test so hopefully that will answer some questions. I have a Lab Mastif Chow, Lastifow. Mister Wilson is calm, but high pitches scare him. He is good alone or with anyone. He was socialized extensively as a baby. With any dog, it is half about how they are raised. He has genetic, floating molars, tumors (mastif), knee issue, TPLO surgery at 8yrs. He likes to get on the wall and climb. Bad doggie neighbors, $4k later, he cant be left alone in his own back yard. 2 bouts with Valley Fever. But I LOVE HIM! For any parent, puppy health insurance, a lot cheaper then anything. Our Labrador/Red Setter cross has the best characteristics of both breeds. I am owned by a beautiful Yellow Lab x Irish Setter mix. He looks like the Red Lab. Anyone heard of a Lab and Irish Setter mix. They look like the Red Lab. Good looking dog. As a happy owner of a borador, I can certainly attest to their high energy and terrific agility. You omitted another popular lab mix–labrador and Vizsla. Our rescued chocolate lab/vizsla is the gentlest dog you’ll ever meet, but his motor is constantly running! I am interested in a Labrala (Lab/Vizsla mix) but unable to locate one. Can you help me out? I have a pitbull-lab mix, she is the sweetest, loves to play and give kisses. Our Black Lab x Long Haired German Shepherd is beautiful and a constant delight. i had the same dog for 12 great years . very well behaved, obedient, good natured loved cats, kids, and life. best dog we ever rescued. was 125 lbs of pure love miss him everyday. I got my Lab/German Shepherd mix as a rescue. He’s the cutest, sweetest dog I could ever wish for. I have to admit, he has everyone in my household wrapped around his paw! 🙂 I can’t imagine my home without him. I believe that my rescue is black lab and long haired German shepherd. I know his mother was full black lab. I think his father was German shepherd beacause his sister definitely had German shepherd and my dog also has the stance of a German shepherd. He is about 85 lbs with black long coat white star on chest. He makes everyone feel like they are so loved and special. He was dumped along with his mother and all his siblings. I took his mom and him because they came to me. A neighbor rescued 2 Also. Don’t know where the rest went :(. He is the best! I found a good home for his mom. She was a sweetheart also. Another mix is Labrador and Australian Shepard, aka sheprador. Ours is about 9 yrs old and is such a snuggler. Do you have any information on a Lab and Pitbull mix? I am wondering myself. I am trying to find information on mine and can’t.